Angular JS is an open source framework for building web applications. Tech giant Google maintains it. Coders face many issues while developing and testing any code. It resorts many of the challenges which the coders may face. AngularJS mixes HTML codes and app modules to form a framework. Its earlier base was Model View Controller (MVC) Architecture. It was mainly in use for planning rich web applications. But, situation has been on a change since the introduction of the Angular JS 2. Apart from these basic advantages, these are the few reasons which make Angular JS the first choice for web development. AngularJS is one of the most widely used frameworks for creating websites. Also, for the mainstream development, Angular JS is in use. Moreover, it has a fine support of a global community of keen and talented developers. The most hectic job in coding is writing codes for every little function. You need to write multiple codes for adding a single function. With the declarative coding paradigm, AngularJS ensures that the coders have to write fewer codes. The coding reduces for executing the same goals. In simpler terms, you do not need to write all the steps involved in any action. You just have to write the final steps! AngularJS web development is a globally known framework. It is in use for developing high quality apps. In addition, it is also known for developing hybrid apps. Many development frameworks and stacks across the world are using AngularJS for this purpose. It has a wider global acceptance and is trending currently as a technology for developing web apps. For enhancing the testing ability, Angular JS is in use. Testing enhancement is because the decoupling of data can have the view of DOM element or HTML. The developer can effortlessly identify the logic that controls this data. Moreover, the data separation is also very simple. Hence, the division of UI element and its representation makes viewing a pleasing experience than other frameworks. We have seen the positives of Angular JS development. Now, let us see why few web development companies remain distant from using AngularJS. As the apps developed under the AngularJS framework are dynamic. These dynamic apps lack in performance. Sometimes complex single page apps can have some lags and show glitches while performing. 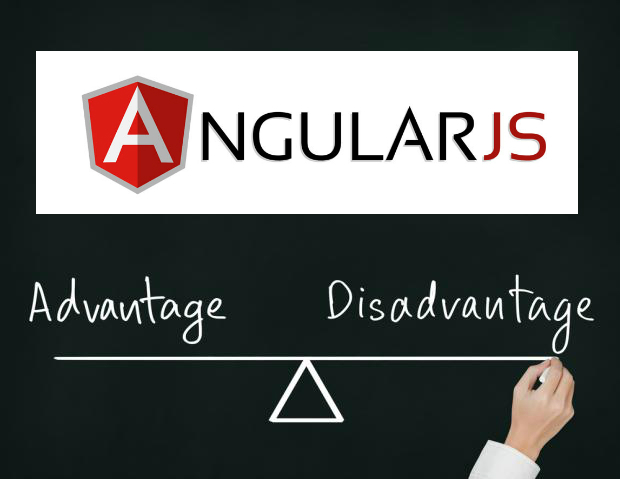 An entrepreneur may look at Angular JS as the best suitable framework for web app development. But, you get to know that your classical web development knowledge would create confusion when you use AngularJS. Features like dependency injection and firm can be challenging for you. Either you will have to invest more time in learning or you may have to look for professional help.